Fodor’s has the entire state of Missouri on its No List for 2018. I completely disagree. I never realized what a dangerous, backward, unfriendly state I live in. But there it was, on the inside pages of yesterday’s St. Louis Post-Dispatch, stating that Fodor’s, the internationally-recognized travel advisory company had listed Missouri as the only state in the USA to make Fodor’s No LIst 2018. That certainly makes the job for Hoffman Lewis, who I believe still handles the advertising for the great state of Missouri, more formidable. The article struck me as hard to believe and somewhat akin to a bunch of blind men describing an elephant. Depending upon where you stand, your view can be radically altered. 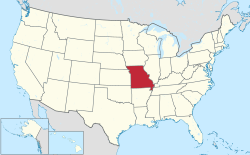 “Missouri is the place where SB 43 was passed making it more difficult to sue employers for discrimination, a state representative argued that homosexuals weren’t human beings, a tourist who got lost and ran out of gas was later found murdered in his jail cell without ever being put under arrest, and two men were hunted down and shot on suspicion of being Muslim on the outskirts of Kansas City. And that’s just in 2017. Those are just a few of the startling headlines from the state that prompted the Missouri chapter of the NAACP to advise tourists to skip this state and the “looming danger” for visitors when they’re touring United States. Missouri has “a separate standard of laws that are only applicable to some people,” Nimrod Chapel, Jr., head of the Missouri chapter of the NAACP, told Fodor’s. He includes people of color, women, the disabled, senior citizens, foreigners, and people of faith as among those who are discriminated against. Based on the opinion of some Nimrod, they’re now saying that anyone who happens to be a person of color (not specified what color), a female, someone who’s disabled, a senior citizen, foreigner or a person who believes in any type of religion, you best stay away from the Show Me state. If you just so happen to be a 65+, disabled, African nun from the Republic of Ghana, well, you may never get out of here alive according to Fodor’s. C’mon, Fodor’s. You owe the great state of Missouri and all the people who are working hard to overcome all of the negatives that have been hurled at this state in the past few years a major apology. The metro St. Louis area has more than its share of problems. Yes, there still is a racial divide here, just as there is a serious economic divide. But there are so many good things happening as well and those items just don’t get the news time they deserve. The murder they reference in Kansas City actually took place in Kansas. And from everything I’ve heard, Kansas City has made dramatic strides as a community that’s not only a great place to live, it’s a great place to visit. Having an entire state on a travel company’s No List is a farce. They don’t know what it’s like to enjoy a weekend in the Ozarks and probably don’t even know where it is. Personally, I’m contacting Fodor’s to let them know of my disgust. They have a Forum and I intend to register and post my opinion. And I will never be purchasing any travel-related guides that bear their name again. And if, by chance, you were planning on a trip to the Taj Mahal or Everest this year, Fodor’s recommends against it – but with a little more actual reasons since the Taj Mahal is being completely re-furbished and most of it is under wraps while with Everest, their reason for not going is simply that too many people die on their quest. Especially if they’re a 65+, African nun from the Republic of Ghana. That’s what I think, how about you? In addition to providing advertising and marketing communications services by day via BloodLines Creative, Tom sometimes writes about what interests him, especially when it comes to all things St. Louis. He is also dedicated to becoming a better surrealist painter, trying to paint the impossible. He invites you to visit his work at his Pixels website, or via his BloodLines Art website. His work can also be viewed on Pinterest, Saatchi Art and on the mobile app, Art Loupe. This entry was posted in Advertising campaigns, Economic Development, lifestyle, Politics, travel, Uncategorized and tagged Fodor's, Hoffman Lewis, NAACP, SB 43, St. Louis Post Dispatch by Tom Blood. Bookmark the permalink.